"Half day at work," Unni says. He was then working in a small advertising agency on Mandlik Road. It was the late 1980s. Leopold was an obvious choice for lunch. It looked like a touristy restaurant, but he'd often think back to the story of when Amitabh Bachchan used to hang out in Leopold when he was still a struggling actor, waiting for his big break. "Who knows, there was probably another Bachchan in the making, temporarily dawdling in one of Leopold's corner seats then too," Unni recollects. A scene from Leopold, digitally painted by Unnikrishna for TLJ. After a not-so heavy lunch at Leopold, Unni remembers frequenting the Chhatrapati Shivaji Maharaj Vastu Sangrahalaya museum (formerly Prince of Wales Museum) nearby, rounding it off with a stroll around the Fort area. All that walking, meant tired legs would need chai and snacks, but his unending curiosity would still need an art fix. Jehnagir Art Gallery’s, Cafe Samovar was the best stop for that. It was no Kochi Bienniale in the sort of extravagance. "But the contemporaries were all present, with their art and conversations— most of which Samovar and its tables and chairs had witnessed. And me, the small fly on the wall too, was breathing in all they had to say with my silent, steaming glass of chai keeping me company in anonymity." Talk of the Town at Marine Drive (in the building below) beckoned soon afterwards. And Unni went there not just for the scenic views the place offered. 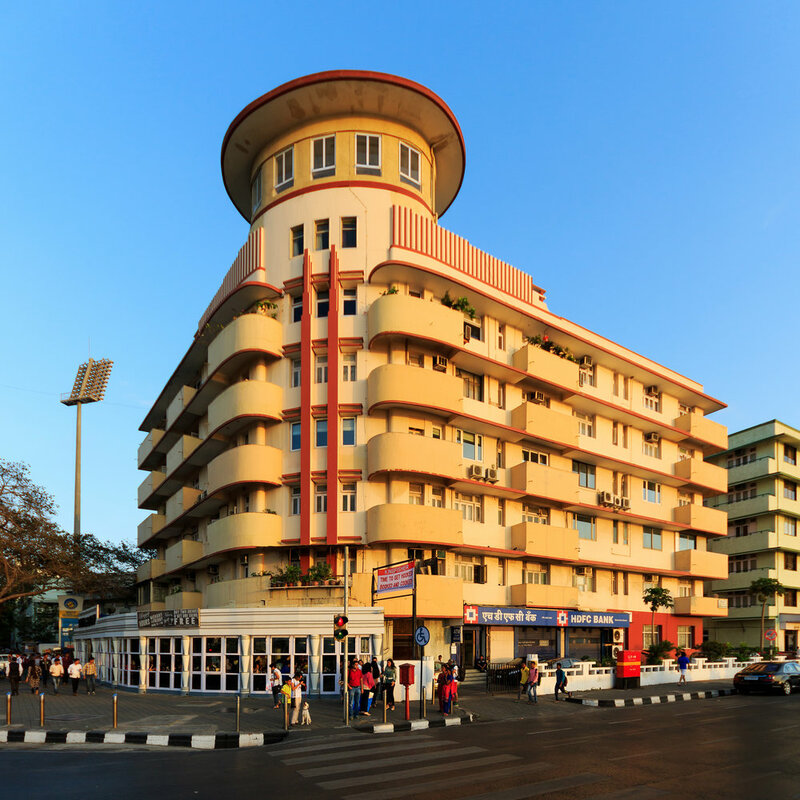 "Residential building at Marine Drive in Mumbai, India"
"It was for Nana Chudasama's historic banners." Chudasama, former sheriff of Mumbai would put up one line slogans that served as incisive, witty and humourous comments on the social and political happenings of the time. "Chudasama's banners continue to appear here still, even though Talk of the Town is now Pizza by the Bay." A compilation of over 500 of these banners, called 'History of a Banner' was published sometime in 2010. Bombay or Mumbai, there's place for everyone and everything here, remembers Unni fondly. Unnikrishna or UMD to friends and acquaintances, is also a type enthusiast. His ongoing #100dayproject is to draw/write 100 malayalam typographic portraits of malayalam writers. See more of it here.